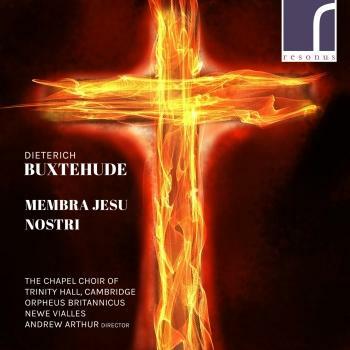 Artist "The Chapel Choir of Trinity Hall Cambridge, Orpheus Britannicus, Newe Vialles & Andrew Arthur"
Founded in 1350, Trinity Hall is, and always has been, a small community. It is one of the prettiest colleges, reflecting many of the characteristics that one would expect of the Cambridge collegiate system: an interesting history, a strong academic record, and a boat club with its own distinguished past! As such, it exudes an atmosphere of intimacy, tradition and social spirit. Its alumni include such notable figures as Lord Howard, Robert Herrick, F D Maurice, J B Priestley, Lord Howe, Lord Runcie - and, more recently, Nicholas Hytner, Tony Slattery and Rachel Weisz. is Fellow, Director of Studies and Director of Music at Trinity Hall, Cambridge, and an Affiliated Lecturer in the Faculty of Music. He read Music at Gonville & Caius College, Cambridge, where he was also Organ Scholar, studying with Nicolas Kynaston, Jacques van Oortmerssen and Geoffrey Webber. During this time as an undergraduate he also served regularly as a volunteer lay-clerk in the chapel choir of St John’s College under Christopher Robinson. In 1997, upon graduating from Caius, he was appointed Acting Precentor of the College. Andrew Arthur now lectures and examines regularly for the Faculty of Music. His principal research – led by his performing interests – has focussed upon English music of the Restoration period and North German music of the seventeenth and eighteenth centuries. He teaches Harmony and Counterpoint, Keyboard Skills and Stylistic Composition and provides regular seminars, master classes and one-to-one coaching in conducting and historically informed keyboard playing. He is Coordinator of the Cambridge University Intercollegiate Organ Scholarship Scheme and Chairman of the Cambridge Organ Scholars’ Forum which runs a series of master classes for Organ Scholars across the University. He also sits, ex officio, on the committee of the Cambridge Academy of Organ Studies. Alongside his busy University schedule, Andrew Arthur is highly regarded on the concert platform and has appeared at many prestigious international festivals. An acknowledged specialist in the music of the Baroque and Classical periods, he currently holds the positions of Associate Director of The Hanover Band and Musical Director of his own period-instrument ensemble and vocal consort, Orpheus Britannicus. In addition to his work as a choral and orchestral conductor, Andrew maintains a passionate commitment to keyboard playing – his solo engagements encompassing organ, harpsichord and fortepiano literature. Alongside his regular appearances as a recitalist and concerto soloist, he remains in great demand as a continuo player with several of London’s leading period-instrument ensembles. He has also worked regularly in partnership with the eminent baroque violinist Elizabeth Wallfisch, engagements with whom include performances in the USA of J.S. Bach's complete works for violin and harpsichord and Biber's 'Mystery' sonatas, together with appearances in the UK at the Suffolk Villages Festival, Conway Hall, Lufthansa Festival of Baroque Music, and the Wigmore Hall. In 2000, he participated as a continuo-player in the celebrated Bach Cantata Pilgrimage with the English Baroque Soloists under Sir John Eliot Gardiner and in 2007, he toured the UK performing the complete organ works of Dieterich Buxtehude, marking the composer’s tercentenary year. Since 1999 Andrew has held the position of Principal Organist & Harpsichordist at the renowned Carmel Bach Festival in California where he also sits on the Committee of Artistic Directors and is currently involved in performing a complete cycle of J.S. Bach’s organ works and directing a complete series of J.S. Bach's Cantatas for solo voice. Over the last two decades, his appearances as player, conductor and lecturer at the festival have been met with considerable critical acclaim. Andrew Arthur appears frequently on Television and Radio broadcasts across Europe and the USA, and has conducted and played on numerous CD and DVD recordings for the BBC, ASV, Soli Deo Gloria, Opera Rara, Griffin, Resonus and Priory Records, all of which have been met with enthusiastic praise in the musical Press. Alongside his busy concert and teaching schedule, Andrew has maintained a life-long commitment to liturgical music, an interest nurtured initially through his early training as a Cathedral chorister and subsequently as organ scholar and Acting Precentor at Gonville & Caius College, Cambridge and as deputy Lay-Clerk at St John's College, Cambridge. 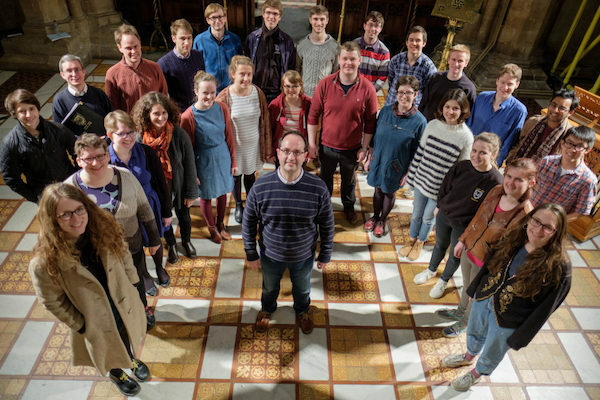 He has since held the positions of Associate Director of Music at the world-famous Butterfield Church of All Saints, Margaret Street and Deputy Master of Music of the Chapels Royal, HM Tower of London. At present, he works throughout the academic year training the Organ Scholars and conducting the Chapel Choir at Trinity Hall with whom, in addition to their regular schedule of services in the College Chapel, he undertakes a number of concerts, foreign tours and recordings.